When we were offered dissertation topics for B Tech project in IIT, I remember I took the selection of the topic rather too seriously. My interest was in environment and the only topic offered was Design of Sewage Treatment Plant for the IIT Bombay Campus. This topic did not excite me as I thought it was too mundane. I wanted to take a topic that will be “path breaking” and “impact the world”. Probably I was making too much fuss. Identification of a Guide was equally daunting a problem. We had only one Professor in Environmental Engineering, – Professor S G Joshi – and he was the one who had offered the topic on Sewage Treatment Plant design. So obviously I could not approach him as I wanted to take “some other” topic. Professor J T Panicker was one of the senior most faculty at the Civil Engineering Department then. He was Professor of Hydrology, Deputy Director of IIT Bombay and carried an umbrella for the entire year – irrespective whether it rained (may be as a true Professor of Hydrology!). He had his own lecture room and accepted only PhD students. I approached Professor Panicker as a Guide. Books on his desk always intrigued me such as a book on “Cloud Physics” and photographs of some French Researchers (He did his doctoral research in Paris). When I explained Professor Panicker that I am not clear about the topic; and I want to do my project; and yet wanted him to guide me, he said “take your time to decide, I don’t think I can add value in the environmental engineering space – but feel free to drop in if you need any general advice” He then smiled and said “Well, do let me know your date of final examination in advance so that I can block my time!” So he essentially assured me the freedom to choose the topic what I want to do. Two things fascinated me. First – I had not met someone who ran a consulting firm in environmental engineering (so I wanted to see how a consultant’s office looks like) and second – I had not seen someone who had done doctoral degree in environmental engineering from the United States! I was disappointed. I thought this work was too mundane and won’t be “influencing the world”. I was expecting to work on a computer based math model and simulate DO-BOD concentrations for various outfall locations and tidal conditions. Sampling and analyses in the laboratory was perhaps just a routine. I said to myself – why should I compromise my research to such routine tasks? I thought Dr Kantawala was simply looking for some cheap labor! I politely declined the offer. Many told me that I should approach National Environmental Engineering Research Institute (NEERI) at Worli in Mumbai to get guidance on the topic. I met the Head S R Kshirsagar and his colleague R K Pandit. Mr. Kshirsagar was known to be a very kind hearted and positive person and Mr. Pandit was someone always negative and would play devil’s advocate. “Take a topic on treatment of distillery effluents – It is a real tough problem to solve and we do not have a good solution today ” Mr. Kshirsagar said in all seriousness Mr. Pandit added “Do you know that typical BOD concentrations of the distillery effluent? Its over 30,000 mg/l. Distillery industries in Maharashtra and Uttar Pradesh have been polluting the surface and ground waters over the years due to absence of suitable technology – but I don’t think you will be able to handle this kind of complex topic”. He had a smirk on his face. When I told about this topic to my senior colleagues A D Kini, S L Naik and Hemant Jamenis in Hindustan Dorr Oliver, they supported the idea. Hemant said “Boss, if you cracked this problem, you will be making loads of money”. This possibility further boosted me to stick to this topic. I remember I wrote a letter on a post card to Professor Rao before reaching Sangli about my research interest seeking his help. I wish I kept a copy of this letter. I had written how passionate I am on this topic and how honored I would be if the Professor could guide me and enlighten…. And how this would influence my life and how I could help the country! I am sure Professor Rao must be lost with my expressions but was kind enough to let me meet him. I met Professor Subba Rao in his office and laboratory. After initial discussions, I requested him to give me a copy of his PhD dissertation which he gave me a bit reluctantly (I am sure I must asked him this rather rudely). I read through his PhD dissertation whole night. The dissertation was centred around experiments that used 3 to 4 buckets simulating anaerobic lagoons. Sampling was done of the BOD/COD of the distillery effluent as it moved from buckets 1 to 2 and 3 and so on exhibiting different levels of removal efficiencies over a period of time. After such several experiments, an optimum configuration, retention time and BOD/COD loading was found and a design methodology was recommended. Professor Rao used this methodology to provide solutions to various distilleries around Sangli. I remember – I was not quite excited with this “enumerative” research. I also thought that the approach taken was too empirical (input-output limited) and trivial. When I spoke about my impressions openly to Professor Rao, I don’t think he liked my “criticism” – especially from a 22 year old kid. I greatly appreciate that the Professor heard me, gave me a patient hearing and let me speak. He said “Go to the anaerobic lagoons at Ugar Khurd Distillery – I suspect that the four lagoons in series there show acid-methane segregation. You may like to investigate the phenomenon of “di-phasic anaerobic digestion”. How to reach Ugar Khurd I asked. The Jeep is about to leave Professor said, “Ride on!” And I went to Ugar Khurd in the Karnataka border. I stayed at the plant, did some assessment and picked up samples for analyses in Mumbai following the required sampling and sample preservation protocols. A chemist at the plant guided me. I boarded a train from Ugar Khurd to reach Mumbai via Pune with a carton of distillery waste samples. In Pune station, Railway Police came to arrest me on complaints from the fellow passengers that I was carrying illicit liquor on the train! To them the distillery effluent was the liquor as my carton was badly stinking. I had a tough time to explain and finally my IIT ID card and a phone call to Professor Panicker at IIT by the station master helped my “release”. Professor Panicker asked me to see him immediately on return. What a mess you are doing – he said in a shrill tone. We did not have an environmental engineering laboratory at IIT Bombay. So I requested NEERI for help that Mr. Kshirsagar generously granted. I did my analysis work in the NEERI laboratory. It helped me in learning how to use instruments, follow the standard methods and interact with the NEERI scientists. While all this rekey and the mission to meet people was on, I splurged into the literature survey. Again, library at IIT Bombay was no great in stocking environmental books and journals and so I had to look for other options. I spent most of the time in Matunga at the libraries of VJTI and UDCT. I still remember looking through the back issues of Journal of Water Pollution & Control Federation, Proceedings of the Purdue University Industrial Waste Conferences etc. at these libraries. Those were the treasures to me. Even now I remember some of the papers I read there. I used to walk home from Matunga (a 20 minute walk over the Tilak Bridge) and not take the Bus as it helped in pondering over what I read in the journals. It used be my think-walk. In one of the readings at UDCT, I came across paper by Barker on “Evolution of Methane” (a classic 1938 article!) and experience of Chicago Recirculation Pump (CRP) Company. CRP practiced gas based recirculation for mixing the digester liquor and found that the methane fraction in the gas could reach to 80% as against 65% generally found. This was called as the CRP process. Barker had argued the role of CO2 in the evolution of methane. By then I had realized that “breaking of the propionate” in acid-methane segregation was the key and a thought came to my mind to conduct experiments with certain species of methanogens and propionate under CO2 and “no CO2” bias with beakers placed on a shaker. The idea of doing such an experiment excited me. The question was where to do such an experiment? My experiment needed a Gas Liquid Chromatograph (GLC), inoculum of methanogenica genre of species and a mentor who could teach me how to work with anaerobic organisms. I also needed to know how to handle a GLC. I was told to approach Dr Gokhale at the National Chemical Laboratory (NCL) at Pashan, Pune and Dr S H Godbole at the Maharashtra Association for Cultivation of Sciences (MACS). Both Dr Gokhale and Godbole liked my “idea” and supported me. Dr S H GodboIe had a research group working on anaerobiosis. I stayed in Pune for 30 days for conducting the experiment at MACS after training on GLC at the NCL. Two doctoral researchers at MACS helped me for my experimental set up. The results were extremely encouraging. The breakdown of propionate in the flask with CO2 bias was much earlier. As CO2 bias was increased, the methane content increased too – unfolding the mystery of the CRP process. At that time, I came up with a concept of Biochemical Carbon Dioxide Demand (B CO2 D) for anaerobic treatment process. This was my own proposition. I developed procedure to estimate (B CO2 D) over 10 days and design anaerobic reactors on this basis. To me it was the major outcome of my BTech project – It also satisfied my “appetite” of doing research in my own way. Well, the fuss I made to pick up my topic and working on my own – taught me a lot in later part of my life. I met very interesting people, visited different institutions and built skills that helped me immensely. In the process of this “chequered research”, I made new friends and established a network. Indeed it was struggle for me but I think the “fuss I made that time was simply worth”. I was close to Mr VD Desai after his retirement and visited his house in Mahim, Mumbai several times, He is now no more. Dr Deepak Kantawala has always been my well wisher, friend philosopher and guide. We have done several assignments together and when he “sold” his environmental engineering consulting company, I was involved to some extent. I am in touch with both Professor Patwardhan and B Subba Rao. Professor Patwardhan advised us recently on the training of effluent treatment plant operators. Mr S R Kshirsagar is no more. I took over from him the job of Hon Editor of the Journal of Indian Water Works Association. We worked together for several years to shape the Journal. Environmental enforcement of industrial clusters in India is a daunting task for regulators. The clusters consist of micro-smallmedium enterprises (MSMEs) who do not have adequate technical capacity, capital and space to install individual pollution control plants. Consequently, common solutions are sought where a pollution control plant for the entire cluster is established and operated. Industries collect effluents and send them for treatment and disposal to this common plant after some pretreatment. The concept of Common Effluent Treatment Plants (CETPs) for industrial clusters emerged in early 1977. Professor Nilay Choudhuri, the then Chairman of Central Pollution Control Board (CPCB) produced a landmark publication ‘Industrial Estate Planning’ after a consultative workshop. I still have a copy of the workshop proceedings. This publication is a must-read. A scheme to finance CETPs was launched under the Central Loan Scheme. Later, between 1991-1999, the Scheme was supported by the World Bank under the credits lines – Industrial Pollution Control and Industrial Pollution Prevention & Control. Today, nearly 200 CETPs operate in India. These CETPs are owned by companies formed by the member MSMEs who employ or contract operational staff and collect effluent charges based on a formula. Independent assessments have shown that on an overall basis, the performance of CETPs has not been satisfactory. The reasons have been several – lack of interest or commitment, technical difficulties in treating complex and variable effluents, unreasonable effluent standards (such as Total Dissolved Solids – (TDS) etc. This has led to public interest litigations and subsequent intervention by the judiciary. In the last two decades, cases of en masse closures have taken place under court directives especially in the states of Gujarat and Tamil Nadu. Negligence on environmental matters has thus led to significant economic (business) and social impacts (employment). I met the Chief Secretary (CS) of one the troubled states where industrial clusters, CETP and judicial intervention had become a serious political issue. We were having dinner. The CS said that it is important that the Chief Minister (CM) of the State is briefed in a 3600 perspective to get a ‘balanced’ view on what should be done to address this problem. He asked me if I could give a presentation to the CM on my own assessment of one of the prominent industrial clusters. I generally avoid meeting with politicians but couldn’t resist the CS’s invite as the CM of the state was known to be one of the sharpest state rulers. The CS asked me to come one day early, as he wanted to review my slides. When we met in a hotel, he seemed a bit worried. “Dr. Modak, I am not really sure how the tone of your presentation should be. I have been informed that the CM may be having a stake in one of the prominent industrial units in the cluster. So going too hard on the industries may not work and the CM may not like this approach. On the other hand, we have been also informed that the CM wants to show firmness and decisiveness towards environmental matters. En masse closure of industries was one way to demonstrate this intent”. “What do you expect from me then?” I asked. I was not comfortable with this complex situation. I suggest you make two sets of presentations – the CS said. One set will ‘defend’ the industries and come up with recommendations that will provide them some time, some concessions and technical guidance to reach the desired level of compliance. The second presentation set will present a case that is ‘hopeless’ and recommend strict punitive actions and even a mass closure if required. You should start your presentation using the second set first. I will watch how the CM is reacting. If I see the CM perturbed then I will pass you a chit suggesting you need to switch the presentation. But you will have to do this rather smoothly. I thought this was going to be challenging but it looked like there was no other option. I wished I was a theater actor. In those days, we did not use PowerPoint projections. I had a stack of plastic foils or transparencies. I reviewed my slides, added more and split the presentation into two – giving two different points of view. This needed late-night work with a strong South Indian coffee. By 2 am, I had two stacks of slides – one comforting the industries while recognizing that non-compliance was a serious matter (stack A) and the other recommending strong punitive action to show the might of the state (stack B). I decided to put the slide deck B on the ‘left’ slide of the overhead projector (OHP) and deck A on the ‘right’. wasting time on preliminaries. The Finance and Environment Secretaries are already inside discussing other matters. As soon as the red light turned green, we rushed inside. I was introduced. The CM spoke to me in Tamil (the State language). I being a Marathi, did not understand a single bit of what was said. When he realized that I don’t speak or understand Tamil, the CM asked the CS why someone from State of Maharashtra was called to advice. Wasn’t there a competent expert available in our state? This conversation took place in Tamil. I was told later that the CM was really upset and had told the CS to simply pack me off and stop the presentation. “Next time the gentleman should come here to present in Tamil (i.e. he should learn Tamil) or else get me someone else from the State,” the CM scorned. The CS had somehow managed the situation by pleading my case and saying that now that I was there …. In the bargain, my presentation time was reduced from 20 minutes to 15 minutes! I had set up the two slide packs A and B on the left and right of the OHP. The presentation began from the ‘left’. I was going hard on the industries, the non-compliance, environmental, health and economic damage etc. I showed some statisticsand maps. The CS was watching CM’s face. I could sense some level of discomfort on his already-agitated face. I picked up the next “right” transparency. I spoke about carrot and stick approaches, market instruments and experiences from other countries. My last punch line seemed to have pleased the CM. I saw that increasing attention was given to my later slides. The presentation ended exactly in 15 minutes. The CM looked happy and so did the CS. My mouth turned dry. I looked at the PS and CS helplessly. While handing over both the decks to the PS, I realized why this person was the CM of the State and indeed deserved to be! No details were missed despite my attempt at a smooth transition. 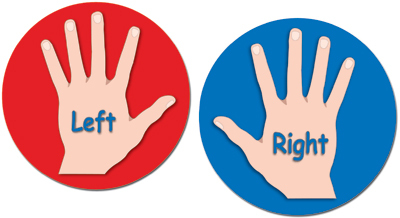 But fundamentally, left vs. right was the issue. And the issue still remains. This Sunday morning I was having a cup of tea with diet khakras (Indian crunchy snack) and reading a newspaper. My Professor friend called me. I didn’t have one in the house (as I use mostly the CFLs) but remembered that my garage had 4 used tube lights of Elips make. I hadn’t figured out how to dispose these used tube lights. My usual kachara lady (waste picker) had not shown much interest. When I told about this to the Professor – he said – well then, here is a deal for you. Elips Tube lights have an offer – give them your used tube lights and they will give you a brand new free. No strings attached! It is part of Elips Extended Producer Responsibility (EPR). There is a tube light collection centre opened at Shivaji Park and today is the deal day between 11 am to 5 pm. Simply rush. Elips wants to demonstrate to the citizens how they care about their used products and about the environment. I liked the deal and told my wife that I will drive right away to the Shivaji-Park with my used tube lights. I thought of calling a few friends as well. Apparently, you could exchange new tube light with a used tube light of any make. That I thought was very generous gesture by Elips. Professor was to join me later at Barista Coffee shop after the exchange was done. Thomas did his doctoral dissertation on EPR. See http://www.lub.lu.se/luft/diss/tec355.pdf This dissertation is a must read. This report is from Bio Intelligence Service. In India, EPR is often practiced by involving and supporting the informal sector i.e. the waste pickers. This makes Indian case unique. E-waste is one of the most popular waste streams of focus. In 2010 Indian lawmakers passed an e-waste policy that included EPR. The Indian EPR law requires electronic manufacturers’ partner with recyclers, including the informal sector, by setting up collection centers. This is perhaps the first time in Indian environmental management framework participation of informal sector is written in the law. This should lead to creation of green jobs and support to the livelihoods of the poor. You may like to read 2007 report commissioned by Greenpeace on India’s E-waste and EPR. See http://escrap.com.ar/descargas/extended-producer-resp-non-OECD.pdf Incidentally, Thomas was one of the authors of this report. It was again Greenpeace who assessed the extent of EPR actually practiced by the Corporates in the E-Waste sector. This report prepared in 2008 showed that companies that practice take back in other countries did not do so in India. There was clear unevenness. See http://ewasteguide.info/files/take-back-blues_2008_Greenpeace.pdf. Indeed, we need to take a stock of the situation on EPR practiced in India today. When I reached the collection center at Shivaji-Park, I was greeted by Elips Marketing Manager. On collecting 4 of my used Elips tube lights, he handed over to me 4 brand new, slim and efficient 4 new tube lights. I was impressed. This is perhaps TEPR I thought i.e. Too much of Extended Producer Responsibility! I started worrying about the Elips Company. Aren’t they crazy? While environmental stewardship is fine, it cannot be at the cost of business. If Elips starts such campaigns of “take back” on their products, sure they will get bankrupt one day. When I said all this to Professor at the Barista Coffee shop, he lit his cigar and took a deep puff. Oh, I said, I did not realize the underlying “economics” or the “business case” of EPR. Did you advise Elips on this strategy Professor? I couldn’t resist but ask. You are a genius Professor – I said while settling the bill. Indeed it’s a game of make and take! Suggestions have been made to publish the collection of blogs. My idea was to add a 2 page supplement to each blog providing technical derails (i.e. serious stuff departing from humor) and cite additional links/resources to guide students and young professionals. My Professor friend and I walked into the waiting room of the Minister of Environment in Delhi. The secretary asked the Professor to insert his Green Card in the slot machine. When Professor did, the machine made a chuckling sound like the R2D2 of Star Wars and flashed a number. That number was the sequence number for us to see the Minister. Professor’s Green Card must be highly respectable or valued as we were ushered right away to the Ministers Cabin. When we finished our meeting (which was typically inconsequential) and reached the elevators, I asked Professor about the Green Card. Professor explained that this was Ministers pet subject and a pilot that he is soon thinking of launching all over the country. The Green Card was proposed to be linked to the Aadhar card and pool into the central database, all the environment related parameters or attributes of the person. The Card when used for transactions (e.g. for purchasing goods at the stores, making payments at a hotel or restaurant, purchasing fuel at the petrol/diesel station, buying an air ticket etc.) will assign appropriate “green points” and calculate the person’s Green Index and rate between 0-10. If your Green Index is less than 5 for example, then you will be considered as an irresponsible citizen, and penalized so that you will be encouraged to behave responsibly. For this your Green Index should cross the minimum of 5. Other day, one of the top executives of a Company (who was in the pilot project) realized that each time he went to the restaurant to dine, his bill was taxed 10% more as his Green Index was less than 5. When he started ordering organic food on a regular basis and chose restaurants who had energy efficient fixtures, the Green Index moved a bit beyond 6 and he got out of the 10% surcharge. So to save money and at the same time protect the environment, he had to make a behavour change. Imagine the impact once the first lot of 10 million Green Cards is issued to India’s rich and high middle class citizens. Launch of Green Card with Green Index will tame our highly consumptive and carbon intensive lifestyles. Professor said. I looked up on the web and found the description of AQI and also articles that say that the Indian AQI is not so easy to understand and is not so much action oriented. (See http://www.thehindu.com/opinion/blogs/blog-datadelve/article7083985.ece ). When I mentioned about this observation, Professor said that making complicated indices is the current state of the art (or science). 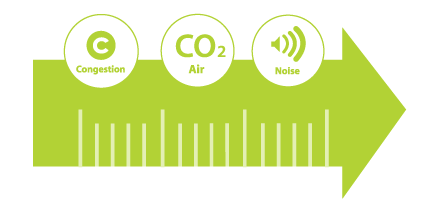 How can you have a simple index for complex issues on environment? I suggested that why don’t we show data on the sale of respiratory drugs and inhalers instead of measuring PM10 and PM2.5? Higher is the level of PM10/PM2.5, more will be the sale of the respiratory drugs and the inhalers. So the sales statistics will serve as an Index. But the Professor probably did not hear me. He continued. Few years ago, a Comprehensive Environmental Pollution Index (CEPI) was developed by the Central Pollution Control Board (CPCB) to rank India’s industrial estates. This index was developed by IIT Delhi that made use of several complicated variables such as pollutant, pathway, receptor and additional high risk elements. (see the full report at http://cpcb.nic.in/divisionsofheadoffice/ess/NewItem_152_Final-Book_2.pdf ). Indeed, CEPI was complicated to understand but was applied over 88 industrial estates. The index was actually used for policy and taking actions. For example, the analysis showed that there were 43 industrial areas/clusters out of the 88 estates that had CEPI crossing 70. These estates were declared as critically polluted. These critically polluted industrial clusters/ areas were recommended for further detailed investigations to assess the extent of damage and a formulation of appropriate remedial action plan. In this process, several action plans got created. Don’t know how many were implemented though. I recalled the criticism on CEPI, its questionable formulation of aggregation (e.g. additive function) and the poor quality field data that was used in arriving at the Index. The impact of publishing and using CEPI was however high as a freeze was brought on expansion and modernization of industrial units in the critically polluted areas. The Industry Associations protested. CEPI was pushed as a Policy without a proper scientific debate and stakeholder consultation. I was wondering why simple data points could not be used to develop indicator for industrial estates/clusters. These data points could have been – overall water consumption as against water available, energy and fuel consumption, materials brought in (with octroi collected as proxy), number of workers/staff in the estate and in the neighborhood of say 1-2 kms, presence, functioning and disposal point regarding common environmental infrastructure (like common effluent treatment plant and common hazardous waste treatment and disposal facility), number of public complaints received, issues and severity etc. The Professor was continuing as we took a taxi. He asked the taxi driver to take us to the Neeti Ayog – new avatara of the earlier planning commission. “Hope you will join me there” He said. The Primate Minister has asked me to develop an Environmental Performance Index (EPI) for each State. The EPI, like usual, will range from 0-10 and higher is the value, the State will be considered as better performing on environmental matters. EPI will be used to allocate the State budgets. Todays meeting is to finalize the parameters that will be used to arrive at the EPI apart from the mathematical function (e.g.linear, weighted linear, maximum operator etc.) and the weights. It’s a high level meeting as it has the “money stake”. This approach will however transform India from an “unsustainable nation” towards path for sustainability. I have come with a fuzzy formulation of EPI to account for the foggy, manipulated and incomplete data. And I feel that this kind of formulation will make EPI look “state of the art” or contemporary and impressive. I was overwhelmed. I realized the importance of environmental indicators in the progress of India, in environmental management (like using CEPI), in environmental communication (like the AQI) and in influencing our lifestyles through mechanisms like the Green Card. I wasn’t then envious of Professors job. I also realized how and why such indicators were developed – essentially to fudge the real data and project the outcome what we want…. Clever. I was researching India’s recent enactment on Corporate Social Responsibility (CSR). I found that there were mixed views. Some opined that the very concept of CSR is controversial as it is fundamentally an aspirational exercise, and it is very difficult to legislate aspirations. Some however believed that making CSR mandatory was a good step to ensure that business behaved responsibly, contributed to the interest of society and complemented the government’s efforts by channeling part of its profits. The new Companies Act of India requires companies above a certain size to ensure that they spend at least 2 percent of annual profits on CSR activities. 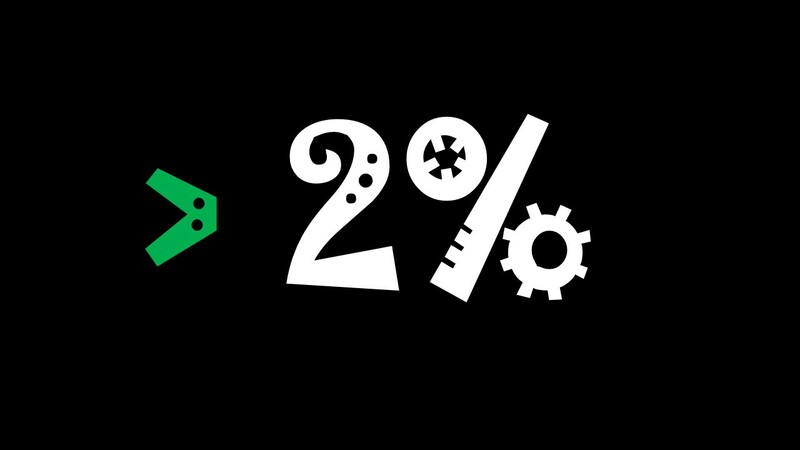 (Why 2%? Perhaps, the Ministry of Corporate Affairs wanted to follow the magic figure of Income Tax surcharge levied on the rich income bracket of India) Some precedence! In many ways, this 2% imposition is kind of a ‘cheeky’ way to increase corporate tax. The corporate tax rate in India is 32.45 percent—already one of the highest, compared to the global average of 24%. The Income Tax Act does not yet allow CSR spending as a deduction from profit. Estimates have been made regarding how the CSR requirement will translate into spending. Around INR 270 billion per year are estimated to be spent as CSR by India Inc. Just to compare – the annual budget of the Ministry of Environment is close to 17 billion and the budget for Ministry of Social Justice and Empowerment is INR 70 billion. So, the estimated CSR spend is a whopping three times more than the combined budgets of the two relevant Ministries. It is expected that India Inc. will deploy their organizational and managerial capacity to play a significant role in activities where government has failed to deliver. That is the hope. Of course, it is not easy to spend the money as projects that qualify for CSR are often difficult to identify. Further, companies are required to engage not-for-profit agencies (NGOs) that are competent – a combination that is often not easy to find! The NGO community in India is indeed not yet ready to help companies deliver CSR projects in the required time and quality. That is a constraint. The Indian Institute of Corporate Affairs (IICA) has launched training and capacity building activities with support from several reputed training institutions in the country. According to Dr. Bhaskar Chatterjee, Director General of IICA, some 30,000 professionals need to be trained. By July, IICA was able to train only 200. Clearly these efforts need to be substantially scaled up and a market needs to be created. The course fees of the training courses are high. The CSR mandate under India’s Company’s act is rather project oriented, more an accounting and reporting exercise than a strategic approach. Would making a profitable investment in an energy-efficient operation qualify as ‘ensuring environmental sustainability,’ even if the firm made that investment on purely financial grounds? What about working with social enterprises where innovations, replications, up-scaling are good possibilities for creating entrepreneurship, employment and investment flows? The law however says a company can undertake its CSR activities only through a registered trust, a registered society or a non-profit (section 8) firm and not through social enterprises. Given its narrow interpretation and ‘play’, I wonder to what extent the CSR mandate is going to improve environmental and social sustainability and help demonstrate sustainability-related interventions for the attention of the government. Companies would mainly use CSR as a brand-building exercise, appeasing local communities around their factories or project operations. If CSR is under the brand function, then the emphasis will be on how prominently the company’s logo is displayed at the location of the activity. I won’t be surprised if the CSR budgets are used to satisfy the politicians, by launching initiatives in their constituencies. Every politician has an NGO and the easiest way to support them is to hand over a grant to their NGOs. There is a risk therefore that the new law would promote green washing and act as a vehicle for illegitimate transfer of funds. I have had many occasions to speak at ‘sustainability conclaves and summits’ of some of the top Indian corporates. My experience has been thoroughly disappointing. The so-called sustainability cells of these companies are staffed with people who are not adequately trained or experienced in the domain and are generally ‘irrelevant’. If the top companies do not have the vision and capacity, then is it too optimistic to expect results of change on the ground? The Schedule 7 under the Company’s Act provides broad-brush guidance on CSR and most companies go where they can shine in the media, establish a brand or go by the feelgood proposals of their employees. Amongst the 10 items, only item (IV) suggests ‘ensuring environmental sustainability’. The guidance is rather biased towards social (health, water, sanitation) infrastructure. Typical ‘investment chunks’ of projects therefore include construction of check dams, water treatment plants and toilets. I worry how these assets will be managed, especially with the use or handover phase requiring commitment and ownership from the communities. The need to ensure proper institutional arrangements for project sustainability has been a weak link in the CSR Act and guidance, and the main emphasis seems to be on spending or projectization. 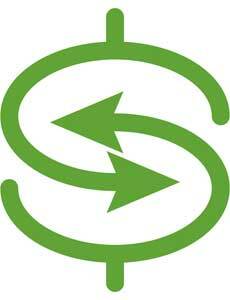 Companies are following several sustainability-related initiatives. In fact, sometimes it’s like a maze for communicating sustainability to the internal and external stakeholders and even to the top management. There is too much of a ‘vocabulary’ used. CSR is just one of the vehicles. A corporate needs to take a holistic view, develop strategies and practice a code of conduct. One needs to consider employees, neighborhoods (especially the youth), customers, suppliers, investors, regulators, media and academic and R&D institutions. 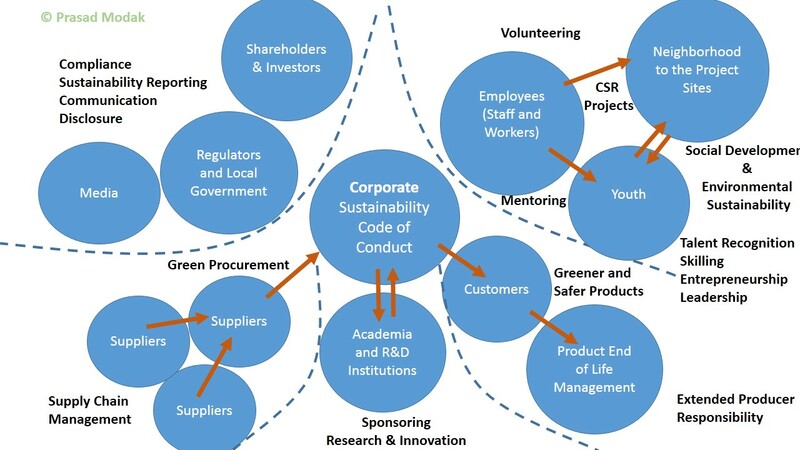 There is a need to envelop the CSR engagements, investments and operations in the code of sustainability. Strategies such as greening of supply chains, extended producer responsibility and practices such as sustainability reporting must be woven. The focus should be on building skills and promotion of innovations that can foster sustainability. 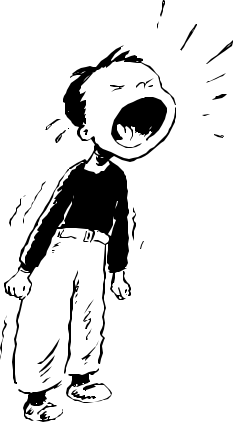 Figure below shows a depiction for your comments and inputs. Indeed, we have to think and practice sustainability beyond the 2%. Limiting to ‘2% thinking’ is not going to be enough!